Z is for Zombie | Just Add Sharks! It’s Halloween, and that means zombies! 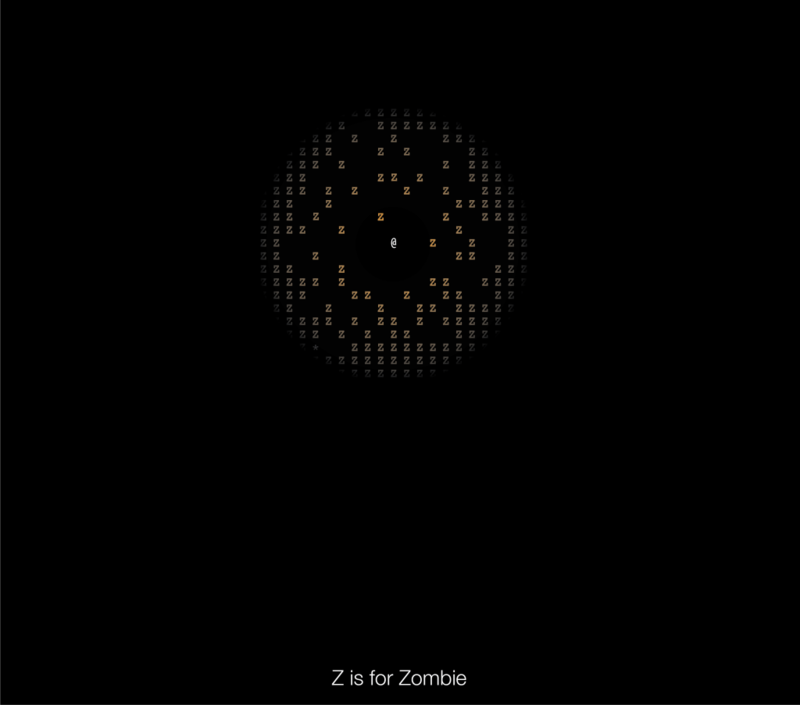 Or, at least symbolic representation of zombies using ASCII! And experience the true terror of the letter Z! This entry was posted in Design, Games, Public. Bookmark the permalink. I enjoyed the game. Good level design. Definitely some tense moments. It took me a couple of play through´s to beat the last level. Nice game and a good game to play on Halloween! I wish there was a leaderboard or some reward for collecting the kittens, I managed to save 29 but I don’t know if that’s all of them or not. Fun game, but it crashed on Google Chrome. Ran out of memory.